Summer is almost here, and the pleasant weather makes it a perfect time to get a head start on home painting projects. The interior and exterior painting contractors at Gantner Painting in New Britain, CT, will help you refresh the look of your house and get ready for the season. The community-focused business offers power washing, patio refinishing, exterior and interior painting. Whether you just need a fresh color on your living room or you want to give your house a complete exterior makeover, Gantner Painting will provide the professional assistance you need to get the job done. They offer comprehensive interior painting services on everything from walls and trim to bookshelves, moldings, and doors, and their exterior painting services include so much more than a new color—Gantner Painting will also provide sanding, wood repair, priming, and pressure washing to remove dirt and mold, if necessary. The house painters treat every home as their own, keeping their work area tidy and paying attention to every last detail. Customer satisfaction is their top priority. 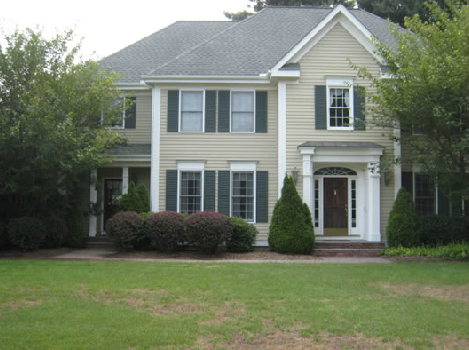 Gantner Painting has more than 25 years of experience improving homes in and around New Britain, CT. In addition to exterior and interior panting, they also provide deck refinishing, patio refinishing, aluminum siding refinishing, and power washing. No matter the size of your project, Gantner Painting offers the meticulous, friendly service that you deserve. There’s no better time than right now to consult with Gantner Painting on interior and exterior painting services for your home. To get a quote from their experienced house painters, call (860) 225-8577 or visit the website to learn more.